What is the Latino Vote, Anyway? Martin Hernandez, a union organizing director in Arizona, likes Hillary Clinton because of her position on healthcare and workers’ rights. “We need a president who understands workers,” said Hernandez, of the United Food and Commercial Workers Union Local 99. “I see the struggles of working people - I want somebody in the presidency who is going to help workers," he said. Ahead of the recent Florida primary, Sanders campaign strategist Giulianna di Lauro said of Latino voters, "we are very similar in that we have a language, we have a history of being outsiders. The newer immigrants, that's what brings us together." But as she canvassed in Orlando for Sanders, di Lauro, who is Venezuelan and Italian, also said, "but there are big differences in what we are looking for in terms of our next president." Hector Medina, who was a Republican precinct chair in Bexar County for the Texas primary, likes the libertarian views he’s seen in Ted Cruz. “I think he would appeal more to independent-minded Hispanics,” Medina said in an interview last month in San Antonio. Over and over the statement is written and spoken about the Latino electorate: We're not a monolith. Yet the concept of a "Latino vote" persists over a group of American voters whose roots are in cultures from a variety of Latin American and Caribbean countries. The term tends to focus on Hispanics as recent immigrants and overlooks the many business owners, the more affluent, or those who can trace their families’ backgrounds to before the arrival of the Pilgrims either through Spanish or native American roots. "The concept of a 'Latino' community is a very American construct," says Republican strategist Alfonso Aguilar. Data about Latino subgroups who actually cast votes is not easy to come by, but Pew Research Center has reported some breakdowns. According to Pew, Latinos of Mexican origin are 53.5 percent of the electorate, 13.8 are Puerto Rican, Cubans are 6.6 percent and Central Americans and South Americans together are 18.8 percent of the eligible voters. A group Pew refers to as “other Spanish” is 7.9 percent. After the 2014 elections, Pew reported the highest Latino voter turnout rate was among the "greatest generation," or the parents of Baby Boomers, at about 47 percent. Latinos of Cuban origin had the highest turnout rate, at about 40 percent, followed by Puerto Ricans at 25.4 percent and 24.3 percent for voters of Mexican descent. Naturalized Latinos had a better voting turnout than U.S.-born citizens, at about 35 to 24 percent. Latino college graduates’ 42.1 percent turnout rate eclipsed the 22.1 percent of Latino high school graduates. For 2016, Pew Research Center projects 18 percent of Latinos eligible to vote will be college graduates, while 52 percent will be high school graduates or those with less than high school educations. Even within the large share of the electorate that is Mexican, there is diversity, as Medina and Hernandez, both of Mexican descent, illustrate. Mexican restaurant owner Betty Rivas has felt some backlash for breaking with the expected view of Latino voters. She was called onstage by Donald Trump when she showed up at his recent rally in Tucson, Arizona. She had gone with a sign reading “Latinos Support D. Trump" and posted a photo of it on Facebook, drawing nasty comments, including people calling her a "traitor" and "gringa." A Mexican immigrant, she said she hasn’t decided which candidate to support. She also attended a Bernie Sanders rally and wants to go to one of Hillary’s. “I live in a free country where I’m able to go and listen to any candidate I want and then decide who I want to support,” Rivas said. Mark Hugo Lopez, director of Hispanic research at Pew, said the community’s diversity is especially visible when comparing states. Florida is rich with a variety of Latin American groups, while Colorado’s Latinos go back many generations. In Nevada, Latinos are younger and the population there has more Hispanics who are here without legal permission. Beyond the cultural separations are income and education. At the Columbia University panel, Daniel Garza, executive director of the LIBRE Initiative, which promotes conservative ideals among Latinos, said there are 15 million Latinos who make more than $50,000 a year. “Technology now allows the ability to target voters … We know in 2012, if you are a Latino who makes over $50,000 a year, 40 percent of you voted for Mitt Romney,” Garza said. “Latino evangelicals who are 25, 26, 27 percent of the entire Latino population, 46 percent voted for Mitt Romney." “If you believe the notion that Latinos are somehow monolithic, you never look into the differences,” he said. After Romney’s 2012 loss, Republicans acknowledged that they could not win without the Latino vote and went to work trying to improve outreach. The party embedded in Latino communities around the country to build its brand. Conservatives also went into 2016 spending significant sums to recruit conservative Latinos and up their turnout. But then Trump announced his presidential bid by slamming Mexicans and calling them rapists, criminals and drug couriers. He added on an immigration plan that calls for mass deportation of the 11 million people here without legal permission and for building a U.S.-Mexico border wall and keeps adding to the height of it. “His rhetoric kind of put cold water on all those efforts” to recruit conservative Latinos, said Alfonso Aguilar, who with other GOP Hispanics publicly rebuked Trump and Ted Cruz for their campaign rhetoric and immigration agendas. “His thinking is he can compensate doing poorly by bringing out new voters, mostly white working class … I don’t know if he can overcome doing poorly with Latino voters,” said Aguilar, who is of Italian and Costa Rican ancestry but born in Puerto Rico. Meanwhile, Aguilar is seeking to reach conservative millennial Latinos through a weekly bilingual podcast, “Desde Washington … Alfonso Aguilar,” part of the RevolverPodcasts network. The concept of a “Latino” community is a very American construct, and often new to those who immigrate to the country, Aguilar said. “When they arrive, they still see themselves as belonging to the identity of their home country. That’s why (the community) is not monolithic … The whole Latino phenomenon for new arrivals, it’s still an artificial construct,” he said. 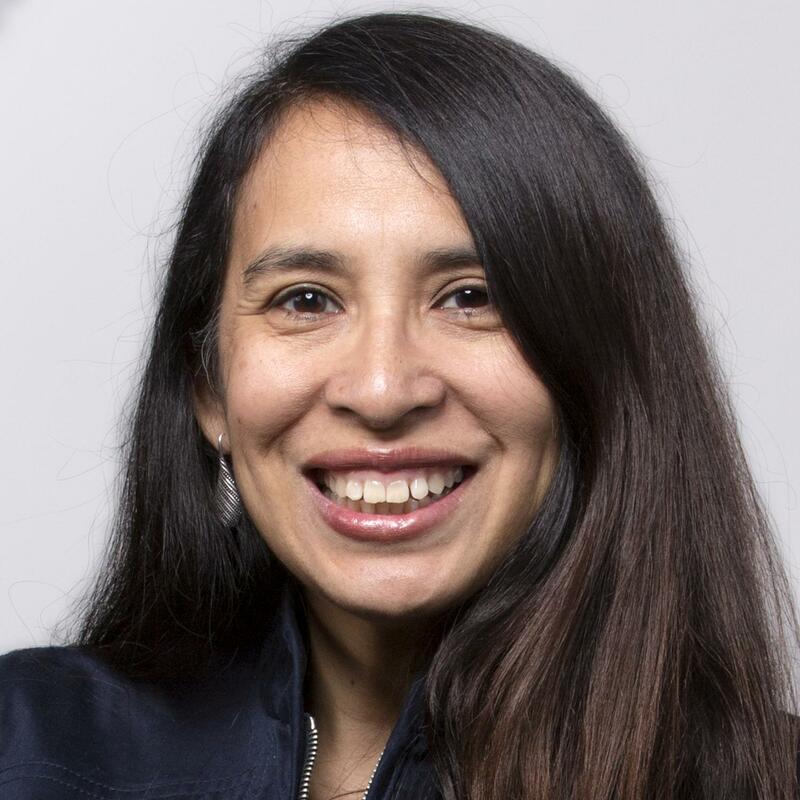 Clarissa Martinez-de-Castro, a Latino electorate expert at the National Council of La Raza, said she expected the race for the Latino vote to look very different this election, with a greater competition for the Hispanic electorate, but that's not what she sees. “We’re seeing not only a continued lack of courtship, but downright antagonism,” she said of the 2016 GOP campaigns. Though there is diversity within the Latino community, polling shows trends on some basic issues, Martinez-De-Castro said. There is a shared sentiment on the economy and jobs as a primary concern along with education. Immigration has also become increasingly a concern as rhetoric has become more toxic, she said. Polls have shown that Latinos generally see government as a needed partner. Hispanics will usually support more investment in health care and other needs over cuts in taxes, she said. Within the larger Democratic Latino electorate, the ongoing race between "La Hillary" versus "El Bernie" has shown generational and ideological divisions. But the community's diversity often can be used to neglect it, said Martinez-De-Castro. When she hears people raise the issue that Latinos are not a monolith, it's often raised in the context of a belief that there is no need to change policy or change rhetoric on immigration or to do Latino outreach "because they are like everybody else." "If every voter was like everybody else," she said, "you wouldn't have the different type of category of voters that campaigns are tying to reach." This story contains material from NBC contributor Griselda Nevarez.